This article is about the 1892–1917 alliance. For the 1936–1939 alliance, see Franco-Soviet Alliance. Pont Alexandre III in Paris and the Trinity Bridge in St Petersburg remain two symbols of the Franco-Russian Alliance. The history of the alliance dates to the beginning of the 1870s, to the contradictions engendered by the Franco-Prussian War and the Treaty of Frankfurt of 1871. The Russian government had supported France during the war scare of 1875, when Russian intervention forced Germany to abandon an attack on France. In 1876, the German chancellor, O. von Bismarck, attempted unsuccessfully to obtain from Russia a guarantee to preserve the territory of Alsace-Lorraine as part of Germany in exchange for unconditional support by Germany for Russian policy in the East. In 1877, during the new Franco-German war scare, Russia maintained friendly relations with France. However, after the Berlin Congress of 1878, French diplomacy, in aiming at a rapprochement with Great Britain and Germany, assumed a hostile position vis-à-vis Russia. France’s alienation from Russia and her policy of colonial seizures lasted until 1885, when the Franco-German contradictions became heightened after the French defeat in Annam. Early in 1887, new complications arose in Franco-German relations. France appealed to the Russian government for aid. In concluding the so-called Reinsurance Treaty with Germany in 1887, Russia insisted on maintaining for France the same conditions that Germany had stipulated for its ally, Austria. At the end of the 1880s, Russo-German economic discrepancies grew stronger. The Russo-French political rapprochement contributed to the influx of French capital into Russia. 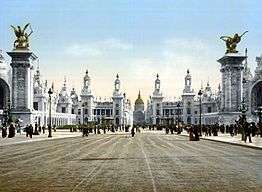 At the end of the 1880s and the beginning of the 1890s, Russia received a number of large loans from France. The deterioration of Russo-German relations, the resurrection of the Triple Alliance in 1891, and the rumors that Great Britain would join the alliance laid the grounds for the conclusion of a political agreement between Russia and France. During a visit by a French squadron to Kronstadt in July 1891, the agreement of 1891 was concluded in the form of an exchange of letters between the ministers of foreign affairs. France was interested significantly more than Russia in a military alliance and endeavored to supplement the 1891 agreement with military obligations. As a result of the negotiations, the representatives of the Russian and French general staffs signed a military convention on Aug. 5 (17), 1892, which provided for mutual military aid in the event of a German attack. By an exchange of letters between Dec. 15 (27), 1893, and Dec. 23, 1893 (Jan. 4, 1894), both governments announced their ratification of the military convention. This formalized the Russo-French military-political alliance. It was a response to the formation of an aggressive military bloc (the Triple Alliance) headed by Germany. In Europe, two opposing hostile imperialist blocs had formed. Relying on Russian support, France intensified its colonial policy. After the Fashoda Incident of 1898 with Great Britain, it endeavored even more to strengthen the alliance with Russia. The alliance with France also facilitated the tsarist government’s expansion into Manchuria in the 1890s. During the preparatory period and the first years of the existence of the Russo-French Alliance, the determining role was played by Russia, but in time the situation altered. By constantly receiving new loans from France, Russian tsarism gradually fell into financial dependence on French imperialism. Prior to World War I, the cooperation of the general staffs of both countries assumed closer forms. In 1912 a Russo-French naval convention was signed. Russia and France entered the war united by the treaty of alliance. This had a significant effect on the course and outcome of the war, since it forced Germany from the first days of the war to fight on two fronts. This led to the defeat at the battle of the Marne, to the collapse of the Schlieffen Plan, and finally to the defeat of Germany. The Russo-French Alliance was nullified by the Soviet government in 1917, along with the other imperialist agreements of the tsarist and bourgeois Provisional governments. Wikimedia Commons has media related to Franco-Russian Alliance.